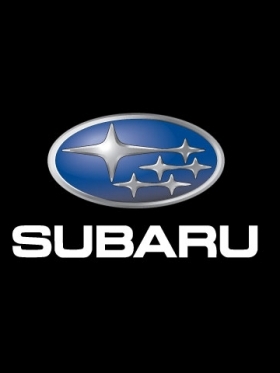 TOKYO (Bloomberg) -- Fuji Heavy Industries Ltd. is making a contrarian bet: The maker of Subaru cars is cranking up domestic manufacturing at a time other Japanese automakers are expanding overseas to escape the strong yen. The carmaker said this month it plans to increase Japanese production to account for 78 percent of output during the fiscal year ending March 2013, compared with 73 percent the previous year. Fuji Heavy said that expanding capacity in Japan -- instead of the U.S., its biggest market -- is cheaper. "A large-scale expansion in the U.S., where we build new factory buildings and such, will cost a lot," Chief Financial Officer Mitsuru Takahashi said in a May 18 interview in Tokyo. "We're not like Toyota, Honda or Nissan, so it's not appropriate for us to make sudden, big investments." The decision makes Fuji Heavy the nation's only carmaker to disclose plans to increase its proportion of Japanese output, raising its vulnerability to a currency that has risen 40 percent in the past four years and forced competitors to build factories overseas. While the weakening of the yen this year has helped Fuji Heavy shares rally more than other automakers, some investors say the company is taking on unnecessary risk. "What matters most for carmakers is localizing production where demand is," said Yuuki Sakurai, CEO at Fukoku Capital Management Inc. in Tokyo, which manages $7.3 billion of assets. "I don't expect the yen to weaken much anytime soon and their relatively low level of localization will have an impact on their shares sooner or later." Fuji Heavy, which already makes a bigger proportion of its vehicles at home than any other Japanese automaker, said it will increase domestic production 28 percent to 598,000 units in the year ending March 2013. In the U.S., the Tokyo-based automaker will cut output at its plant in Indiana by 1 percent to 169,000, according to the company. Among Japan's automakers, Toyota Motor Corp. plans to maintain production of 3 million vehicles in Japan and recently announced plans to increase production in Indonesia, Russia and the United States. Nissan Motor Co., whose CEO Carlos Ghosn referred to the yen as a "one-thousand-pound gorilla" that's unpredictable, has said it plans to maintain domestic output of 1 million cars and expand in Mexico, Brazil and Southeast Asian countries. Honda Motor Co. plans to expand production in Southeast Asia and North America, its biggest market, the company has said. While the yen has weakened 2 percent in the past six months against the 10 developed-nation currencies tracked by Bloomberg Correlation-Weighted Indexes, it still remains about 40 percent higher than before the 2008 bankruptcy of Lehman Brothers Holdings Inc.
For Fuji Heavy, every yen gain against the dollar reduces operating profit by 6.5 billion yen ($82 million), and 400 million yen (4 million euro) versus the euro, according to Fusao Watanabe, a company spokesman. "I can fully understand their thinking to stay in Japan, risk the inevitable exchange-rate fluctuations -- you can lose, but you can also win -- and leverage the various advantages they can find to exploit around the Japanese base," said John Shook, CEO of Cambridge, Mass.-based Lean Enterprise Institute and a former Toyota engineer. Building a new factory in the U.S. will cost at least $1 billion, according to Shook and Maryann Keller, principal of a self-named consulting company in Stamford, Conn. Still, meeting an increase in overseas demand through exports will put pressure on operating profit margins that trail the industry's average. Fuji Heavy's operating margin of 2.9 percent compares with the 3.8 percent industry average, according to data compiled by Bloomberg. Nissan, the Japanese automaker with the highest share of production overseas, had a margin of 5.8 percent. Fuji Heavy on May 8 forecast a 25 percent jump in profit as it targets record sales of its four-wheel-drive Subaru vehicles this year on rising demand in the U.S. and China. The stock climbed the most in more than eight months that day and has risen 32 percent this year. Driving profit growth is demand in the U.S., where Subaru was named this year's top automaker in Consumer Reports magazine's annual rankings, earning its score of 75 out of 100 points for building "dependable, all-wheel-drive vehicles with simple interiors." Fuji Heavy had to adjust its production plans after failing to receive government approval from China to build cars in the country. It's the only Japanese carmaker besides Daihatsu Motor Co. without a vehicle-making venture in the world's largest auto market. China isn't approving Fuji Heavy's proposal because it considers the company to be part of Toyota, which owns a 16 percent stake and already has the maximum of two Chinese partners, three people familiar with the matter said last year. A 25 percent import duty makes Subaru cars more expensive than locally built cars. Fuji Heavy will have to continue shipping cars and sport-utility vehicles. "With the high import tariff and the strong yen, the competitiveness of Subaru-branded vehicles has dropped compared to their locally assembled competitors," Marvin Zhu, a Shanghai-based analyst at researcher LMC Automotive, wrote in a report this month. "If the joint venture had been approved, Subaru would have greatly reduced cost and expanded its market share." Sales of the Forester SUV, Fuji Heavy's best-selling model in China, dropped 16 percent to 31,000 units last year. Deliveries of the Legacy sedans gained 30 percent. Fuji Heavy needs to expand U.S. production as soon as possible to reduce the yen's impact and help meet growing demand, said Mitsushige Akino, who oversees about $600 million at Ichiyoshi Investment Management Co. in Tokyo. "If they aren't going to do much in the U.S., that may be the same as not doing anything, since they aren't doing anything in China either," he said. Fuji Heavy can increase current production at its U.S. plant to 200,000 units a year without substantial investment, Takahashi said. A weaker yen may lessen the need to expand in the U.S.
"I'm hoping for the yen to further weaken, and I'm hoping that five to 10 years down the road it will be weaker," he said.